This programme is for students who wish to combine a language course and the experience of living with a host family. 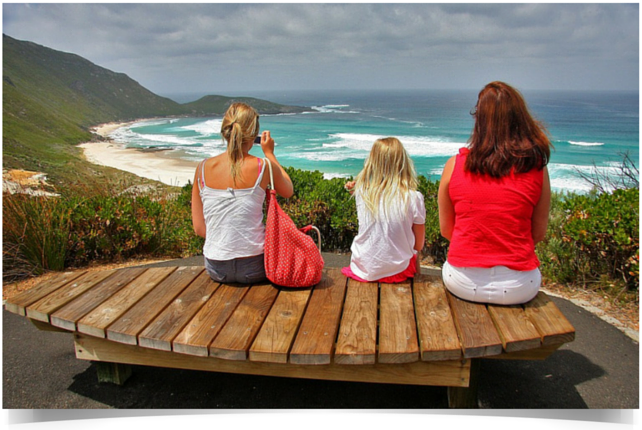 You will be completely immersed in Australian family life and will be able to take up to 25 hours of English lessons per week in our partner schools throughout your entire stay. 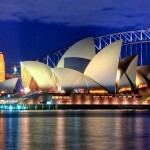 Sydney is in the top 10 best places to live in the world! You will be captivated by the city’s emblematic monuments, the idyllic beaches, the verdant landscapes, and Sydney Harbour – one of the most beautiful in the world. Sydney has an undeniably high quality of life which you will be able to take advantage of throughout your entire stay! The Gold Coast is a must-see region of Australia which offers numerous tourist attractions and kilometres of idyllic beaches such as Surfers Paradise. The city of Southport is known for its law and medical schools and its business quarter. You will find a buzzing student atmosphere there! 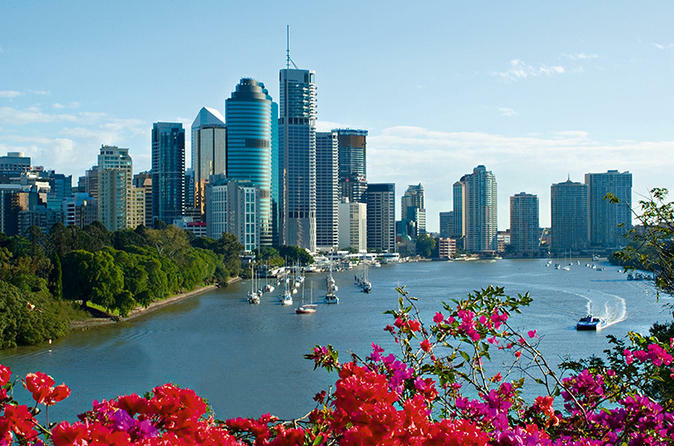 Brisbane is one of the most important and beautiful cities in Australia. 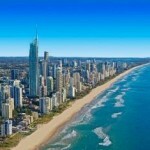 Conveniently placed betweeen the Sunshine Coast and the Gold Coast, this city offers the advantages of a big city and the a verdant environment enabling many outdoor activities. Make the most of an idyllic quality of life amongst the city’s lush vegetation! The language school is situated in the centre of Sydney in a modern building. Each student benefits from a personalised study plan which is adapted to help them to acheive their academic and professional objectives. You can choose between the “Super Intensive English Course” (25 hours per week) and the “Intensive English Course” (20 hours per week) which take place every morning from Monday to Friday. 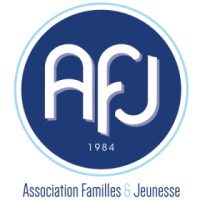 Ce planning est adapté aux emplois du temps des familles d’accueil. Receive a weekly allowance of between $120 and $150 AUD (between €75 and €95). 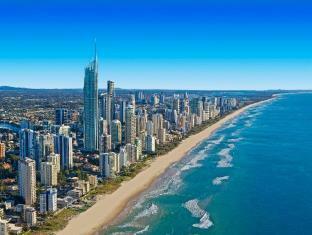 The Southport language school is located along the famous Gold Coast which stretches for 55 kilometres. It is just a few steps away from an enormous shopping centre, restaurants, gyms, cinemas and beaches, it offers all conveniences as well as numerous activities to guarantee you an unforgettable trip. You will take the “General English” course which consists of 20 hours of lessons per week and you will have the opportunity to attend an additional 1 hour workshop every day (a class which focuses on pronunciation, English used in hospitality/catering, reading, writing, comprehension). 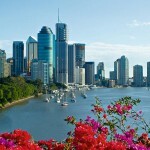 The language school is located in the heart of Brisbane. The building is close to all conveniences to enable you to study comfortably. The surrounding area also regularly offers numerous activities to guarantee you a total cultural immersion as well as being immersed in your host family’s way of life. The “General English Course” allows you to take either 15 hourse or 20 hours of lessons per week. The classes take place in the morning and fit in perfectly with your demi-pair work schedule so that you are still able to look after your host family’s children. As a demi-pair in Australia, your role will be to look after the children in your host family for up to 4/5 hours a day (usually after your lesson) and to do a few light household chores to help your family in their day to day life. Above all this programme is a cultural exchange which requires open-mindedness. You must be responsible as well as flexible in order to be able to adjust to your host family’s way of life. PLEASE NOTE: the payment is made once your dossier has been sent to the school and they have confirmed your place. PLEASE NOTE: the payment is not made until after your departure date has been confirmed. This includes enrolment, 12 weeks of English (25 hours per week), all the necessary teaching materials. Keep in mind the deposit guarantee (which will be reimbursed under certain conditions) : $860 AUD (about €550). SOUTHPORT SCHOOL: starting from $5700 AUD (about €3770), depending on the time of year discounts could apply. This includes enrolment, the costs of finding a suitable family, 12 weeks of English lessons (20 hours per week), all the necessary reading material. This includes enrolment, the cost of finding a suitable family, 12 weeks of English lessons (15 hours per week), all the necessary teaching materials. Also keep in mind for your budget: flights (about €1300), visa fee (about €280 depending on the exchange rate), health/hospitalisation/repatriation insurance (about €40 month).